Vendor Night will be held from 6:00 – 8:00 PM in Botanic Hall at Cheekwood. Click here for a list of vendors and order forms to download and send to Gary Spencer by March 20. 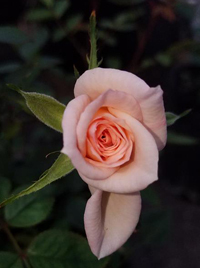 Minnie Pearl, a miniature rose with a classic hybrid tea shape. Minnie Pearl and other miniature rose varieties are available for purchase as part of the Nashville Rose Society’s annual vendor night fundraiser. To learn what other varieties are available and to preorder, contact Larry and Connie DeWitt Baird. You do not have to be a member of NRS in order to purchase. At 7:00pm, our speaker will be Jeffrey Ezell, Co-Owner and Products and Business Development at The Compost Company. 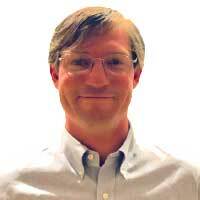 Jeffery is a SWANA certified Compost Facility Manager, active member of the US Compost Council, and currently serves as Vice President of the Tennessee Recycling Coalition. Prior to working with The Compost Company, Jeffrey served as Recycling Coordinator for Metro Nashville Public Works, working to grow and support composting projects at schools, community centers, businesses, and homes. He also served as coordinator and instructor for the Davidson County Master Composter Class. Jeffrey holds a bachelor’s degree in Geology from the University of Georgia. The mission statement of The Compost Company is to create a more sustainable future by removing organic waste from landfills and returning it to the soil. They produce the highest quality organic soil and mulch products for farmers, gardeners and landscapers. For more information on The Compost Company, visit www.compostcompany.com.